It’s a dream for many mums – a luxurious overseas holiday with kids… however, many struggle with not only traveling alone with their children, but having to entertain them when they arrive as well – meaning no rest for mum. 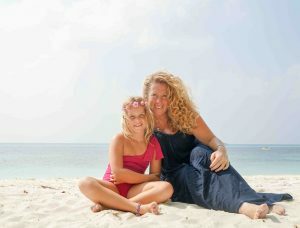 Leading Australian family travel influencer, Evie Farrell, has been traveling the world for two years with her eight year-old daughter Emmie, and says she has the solution: luxury mum and kids retreats in Bali, Indonesia. “I started traveling with Emmie when she was four months old, and I often wondered if other mums felt comfortable traveling alone with their kids. I also realised that being on holidays alone with kids can be hard work as you’re the entertainment, the protector and the provider in often unfamiliar surroundings,” says Evie. “Mums are exhausted enough – when we holiday we need a break, and a luxurious one where we can rest and recharge, too. “I had an idea to create holidays for mums and kids so that when they arrived at their destination they were immediately in a comfortable place with a small group of other mums to spend time with and kids to play with. “It just takes the stress out of a solo-parent holiday with kids and means everyone gets to have a good time. Evie, who has more than 97,000 followers on her Instagram @mumpacktravel says that her retreats are open to all mums the world over. “Whether you’re a solo mum, a mum who has to travel alone because your partner can’t travel with you, a grandmother or an aunty – everyone is welcome! “We want mums to have a memorable and luxurious holiday where they can relax and enjoy a few wines, massages, dinners and outings while the kids play in the pool, have movie nights and learn about the culture here in Bali. 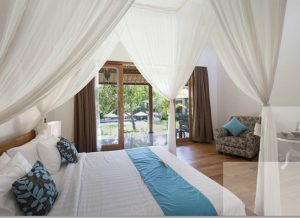 Kids activities include kite making, offering making, a pool party and movie nights,” says Evie. Sri Lanka family holidays (for dads too) run four times a year and bookings for June and September 2018 and January 2019 are now open.